A huge congratulations to all of this spring’s graduates, especially the doctors! I’m so proud of my friend Rebecca, who graduated from medical school, and my sister-in-law Michela, who graduated from optometry school! I used a little accordion-folded strip of card stock to pop the glasses and a more traditional L-shaped piece for the back of the panda. Oh Happy Day has a nice tutorial on basic pop-up cards, using slits in the card to create brackets. I didn’t want to cut slits through the front of my card and have to re-cover it, so I just mimicked the shape of the brackets by attaching additional pieces of card stock. I decorated the blank front with strips of black paper and a White Out pen. Pink probably would have been cuter, but it didn’t occur to me until it was too late. 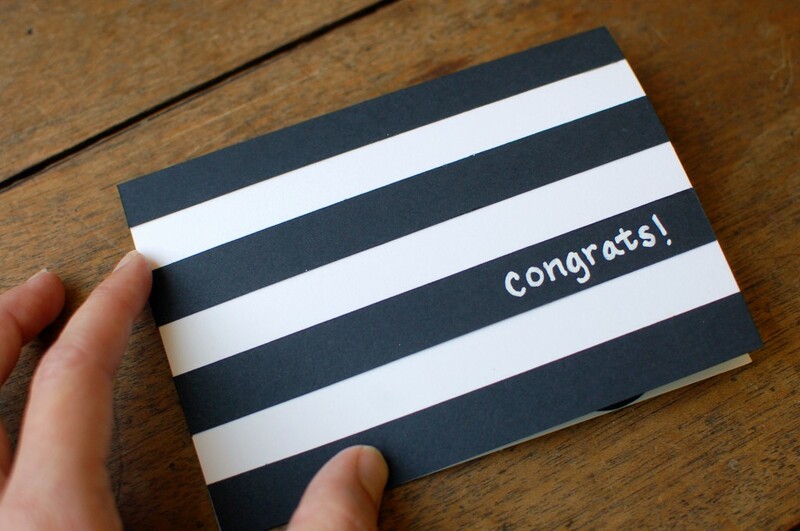 Good thing black and white stripes continue to be all the rage! 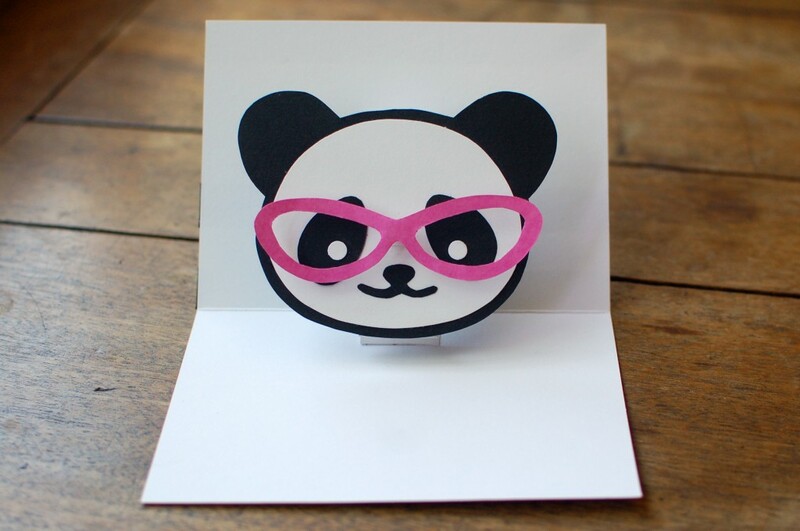 Love your panda pop-up card! 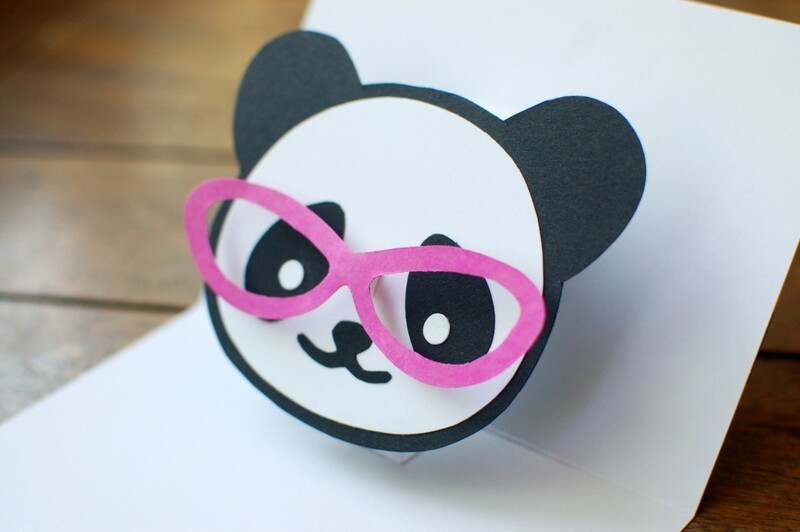 Do you have a pattern for the panda and/or eyeglasses?